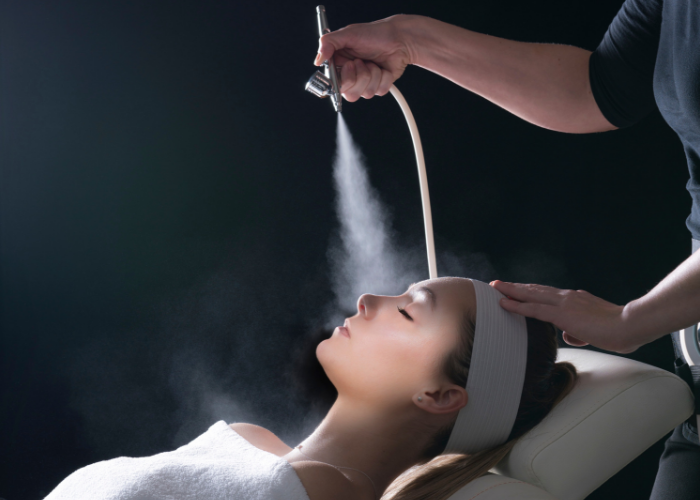 Oxygen Facial machines are becoming more and more predominate in leading salons, spas and wellness clinics in order to meet the demand for comprehensive and deeper-working facial experiences that deliver high tier outcomes and instantly noticeable results. Investing in a quality, multi-purpose Oxygen Facial machine enables beauty business owners to modernise their treatment menu with luxury, hi-tech facials that work to address a number of skin concerns from anti-ageing to acne and deliver a radiant and psychologically satisfying result for the client every time. Our bt-Accent AIR™ oxygen facial machine achieves instant results in the treatment of expression ageing, fine lines and wrinkles, acne congestion, enlarged pores, pigmentation and dull, dehydrated and tired skin. 94% pure ambient oxygen delivery works alongside skincare infusions to nourish and repair damaged skin and stimulate collagen production for a plumped out, revitalised appearance. The bt-Accent AIR™ offers an instant detox treatment for the skin, delivering only 94% pure ambient oxygen free of nitrogen and chemicals, deep into the skin to energise cells and enhance skin-correcting product penetration. The facials are popular as an ongoing course of treatments to maintain a young, clear and bright complexion as well as a one-off ‘makeover’ selling point for clients who need a pick-me-up and instant, radiant results before a big event.